If there is a Mother Earth, it may as well be Olympia, Washington’s Mirah Yom Tov Zeitlyn, who coos coyly and with care, who has been championed by those preservationists of primitive innocence, who has reveled in understated arrangements of her girlish wisdom, and who has now, on (a)spera, sung out a sweet and transcendent lament for the natural world with all its inhabitants. Opener “Generosity” reveals the songstress alternating between the perspective of bountiful nature (“I’ve given you all of my energy) and a grieving human who realizes too late all that has been taken and can’t be replaced (“these clouds we’ve made cannot make rain”). It’s a Giving Tree scenario, spun out with strings and a subdued power-ballad build, and it sets the stage for the worldly decay catalogued throughout (a)spera with the help of several gifted collaborators, including Kane Mathis (who provides gorgeous baroque kora work in “Shells”) and Bryce Panic (who creates the serene kalimba base for winding closer “While We Have the Sun”). 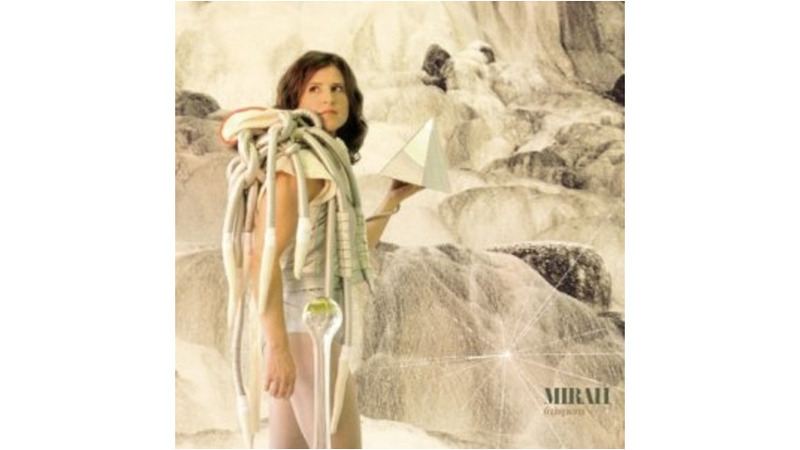 Mirah’s position here isn’t so much that of a hectoring, pragmatic environmentalist; rather, with broader thoughts, wide eyes and open heart, she asks in “The World Is Falling Apart”: “Why were you not built for wonder? / Why will you never get enough?” They’re queries convincingly put forth in a voice like Mirah’s—slicked with sap and curled like a cat’s tail—floating above arrangements like those of (a)spera: burnt, flowing, cooled and whispered, like the elements of our earth.